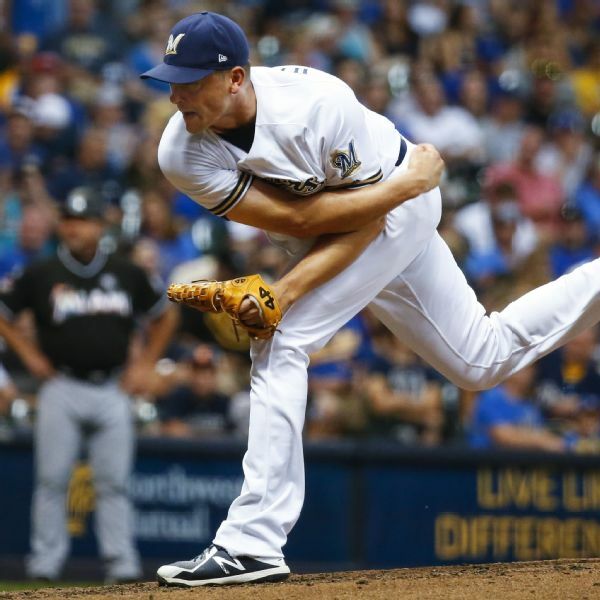 Righty reliever Jared Hughes, who has spent most of his time in the majors with the Pirates, will join the Reds next season. Pirates outfielder Gregory Polanco will not travel with the team when it heads north on Thursday for two exhibition games in Montreal. 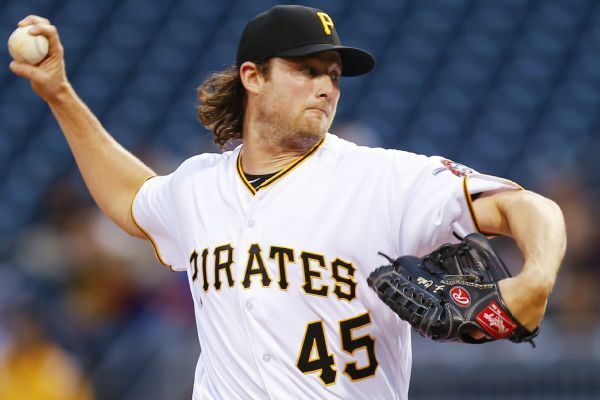 The Pirates and Gerrit Cole agreed on a one-year deal that will pay the ace right-hander $3.75 million in 2017, a significant bump over the $541,000 that he made in 2016. 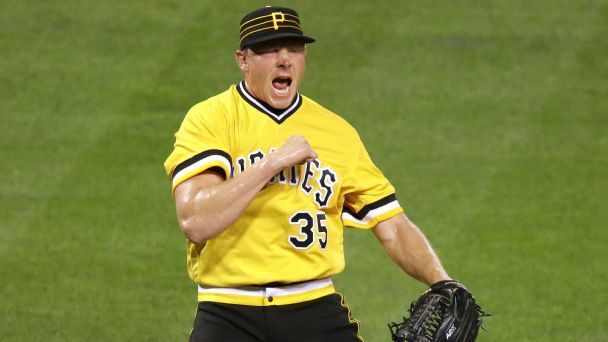 The Nationals shored up their pen by trading for Mark Melancon. 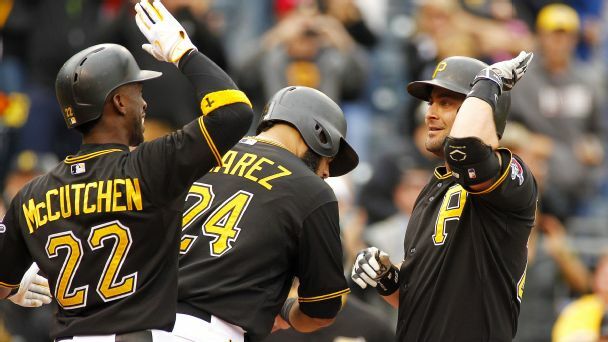 The Pirates are chasing a wild card with an above average pen -- even without him. 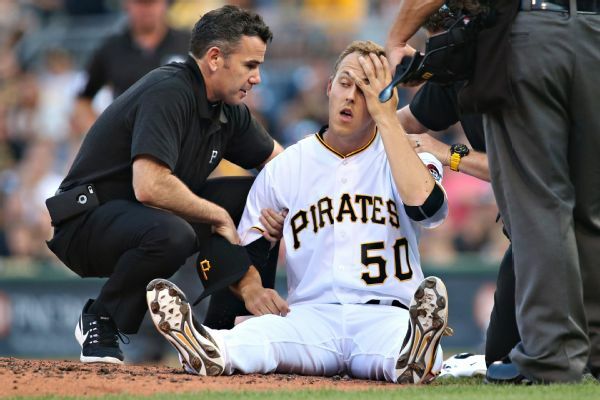 Pirates trainer Todd Tomczyk told Outside the Lines that a protective hat wouldn't have helped Jameson Taillon when he was hit by a line drive on Tuesday. 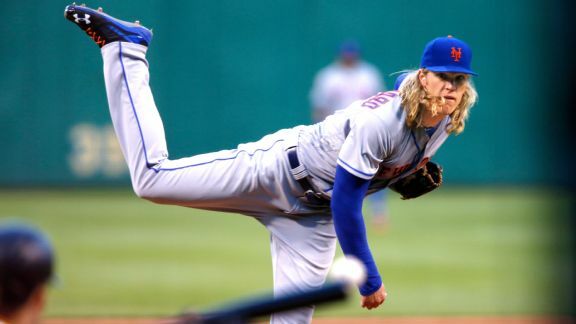 The New York Mets snapped a streak of nine straight losses to the Pittsburgh Pirates on a Wilmer Flores pinch-hit, RBI single in the 10th inning. 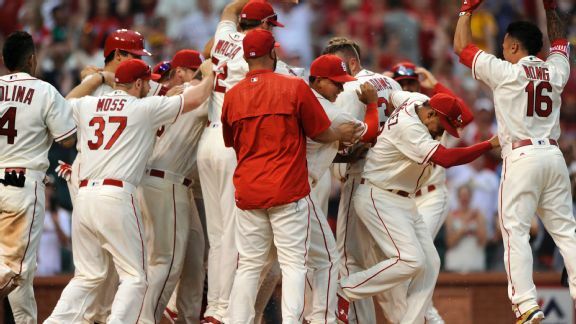 Matt Carpenter's ninth-inning home run sent the crowd home happy in a game that came down to the NL Central rivals' relief corps. 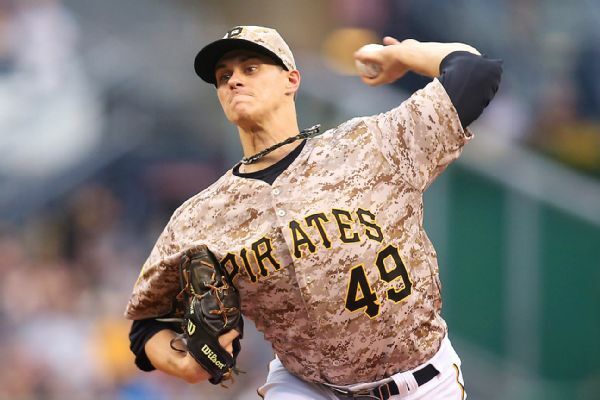 The Pirates have activated right-handed reliever Jared Hughes from the 15-day disabled list, making room on the roster by optioning Rob Scahill. 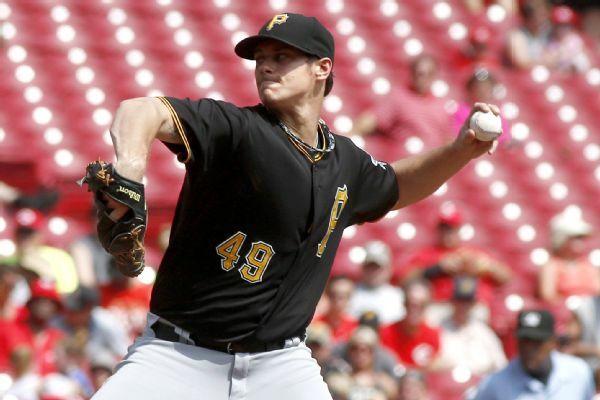 Left-hander Jeff Locke and the Pittsburgh Pirates agreed to a one-year contract worth $3,025,000, a raise from $531,000.